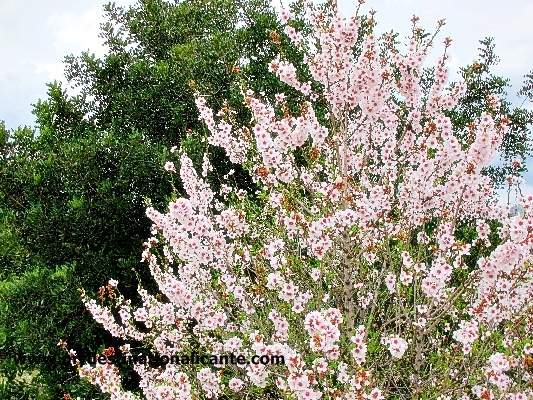 Do you know the story behind Jalon Valley almond blossom? 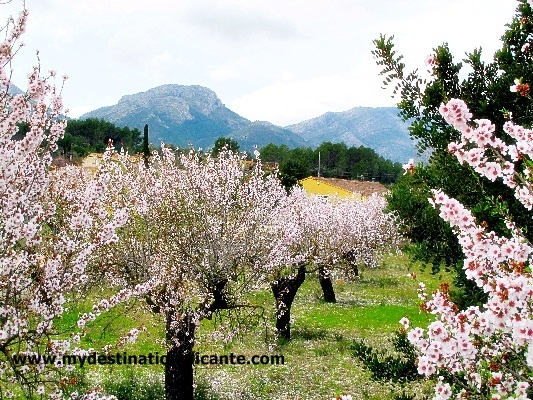 Jalon Valley is blooming marvellous in February when the blossom comes out. 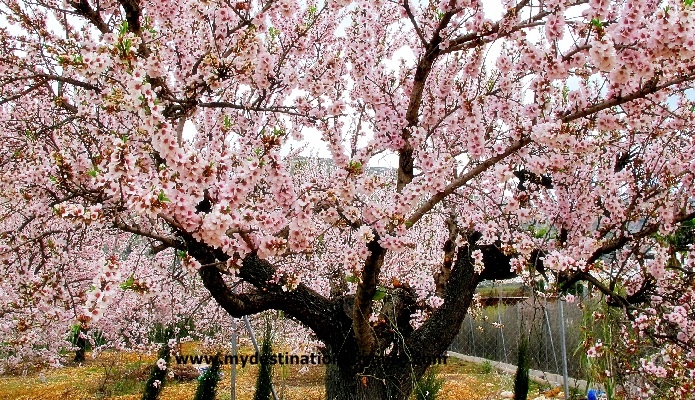 The valleys become beautiful pink and white canvases while the air is filled with the delicate perfume of the almond blossom. 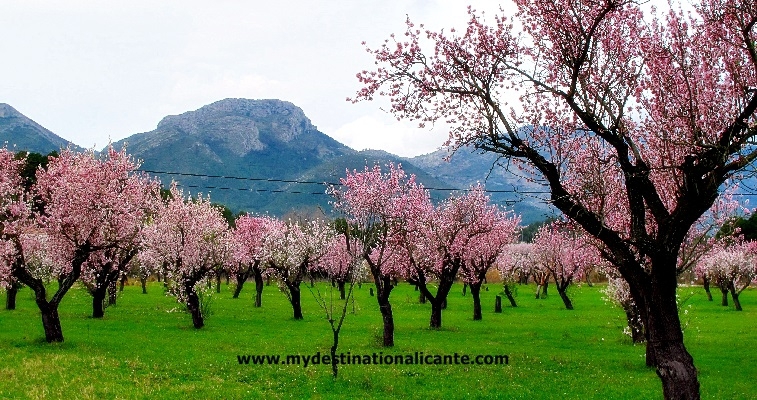 It's a perfect time for hikers, photographers and artists to enjoy the marvellous sight of the Jalon Valley in bloom. 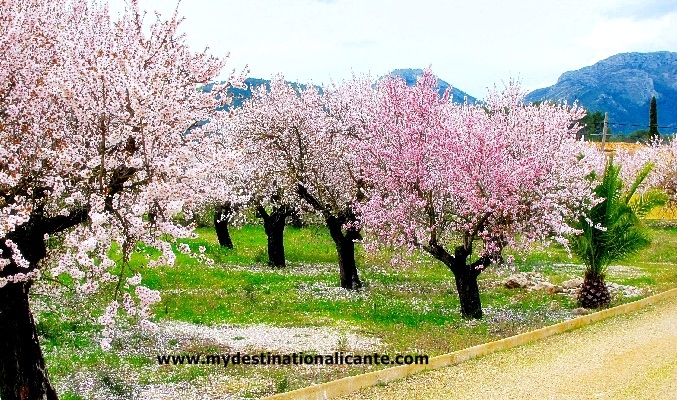 It's certainly a romantic sight, which becomes even more poignant when you hear about the legend explaining why almond trees were brought to the Alicante countryside.It dates back to the time when Spain was ruled by the Moors. One of whom, Sultan Ibn Almundin, fell in love with his beautiful slave Gilda, who came from a frozen land far away. Her blonde hair and cool blue eyes turned his head and the couple married. However, the ice queen became sadder and sadder because she missed her homeland. This made the Sultan very sad and he asked his poet how he could bring the smile back to her face. The poet said it was impossible because the Queen was longing to see the winter snow back home. The Sultan was not shaken and set about to think of how he could possible re-create such a scene in sunny Spain. 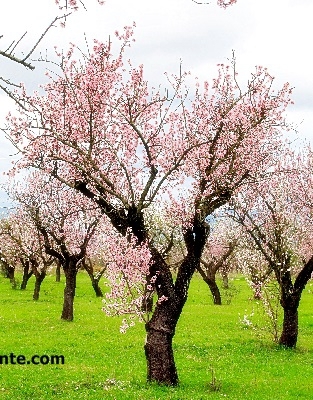 He ordered for thousands of almond trees to be planted around his castle. 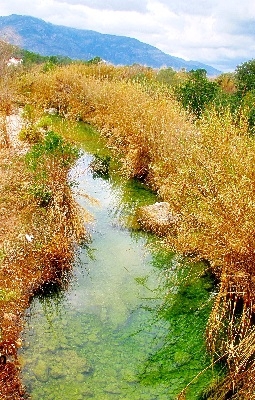 During the spring, they blossomed to make the land seem as though it was covered in a carpet of snow - which made Gilda smile again. 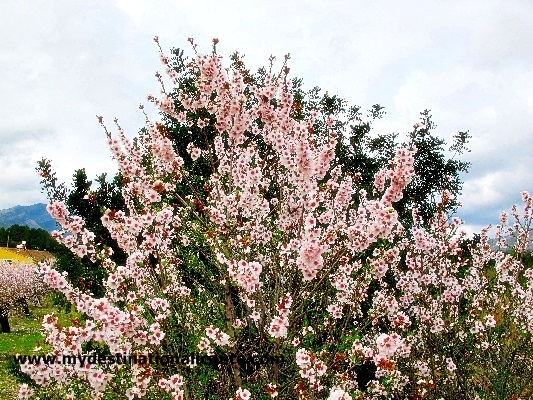 And that is how the Jalon Valley almond blossom came to be. 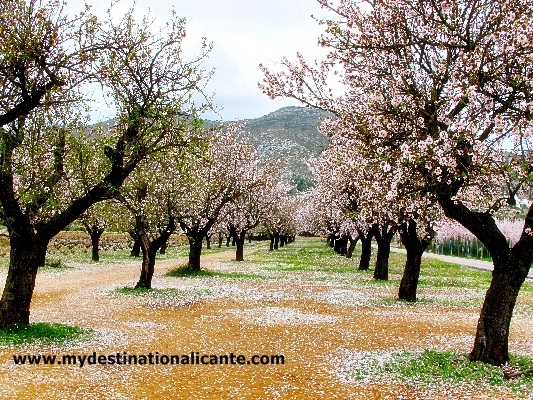 For more tales of the Moors making their mark on Alicante, read on.